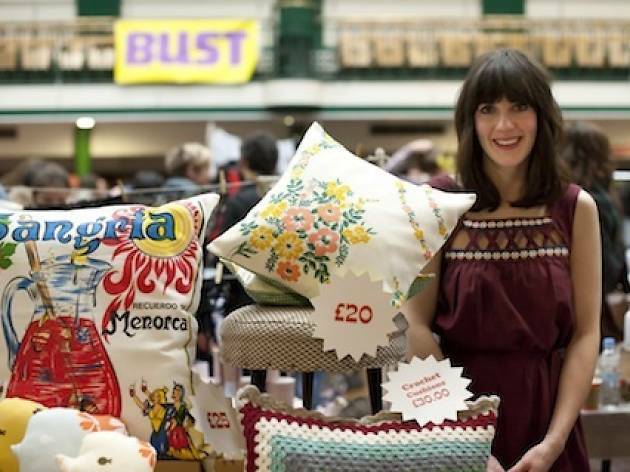 This festive fair of traditional and contemporary arts and crafts is perennially popular for good reason; more than 70 stalls will be in attendance packed with fun prints, quirky jewellery, vintage clothing, beautiful homewares and masses more. Bust is a US-based women's lifestyle magazine that takes a modern view on young women's interests, and the event reflects its outlook. There'll be DJs all day, and workshops include making an animal rattle (2pm-3.30pm, free), lino-print Christmas cards and gift tags (3.30pm-5pm, free) and shape-your-own acrylic necklace or keyring sessions (all day, £10). 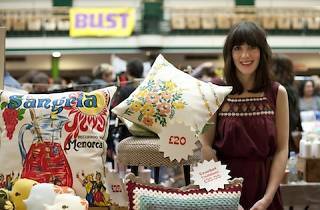 As well as all the upcoming designer/maker talent on offer, recognisable names in attendance include Gemma Correll (whose 'Pugs not Drugs' design may well be familiar) and paper-cut artist Rob Ryan, who will be selling exclusive signed screen-printed wrapping paper. The first 100 visitors will get a free goodie bag, but be prepared to queue if you're hoping to nab one.